Any Geminis in da house? 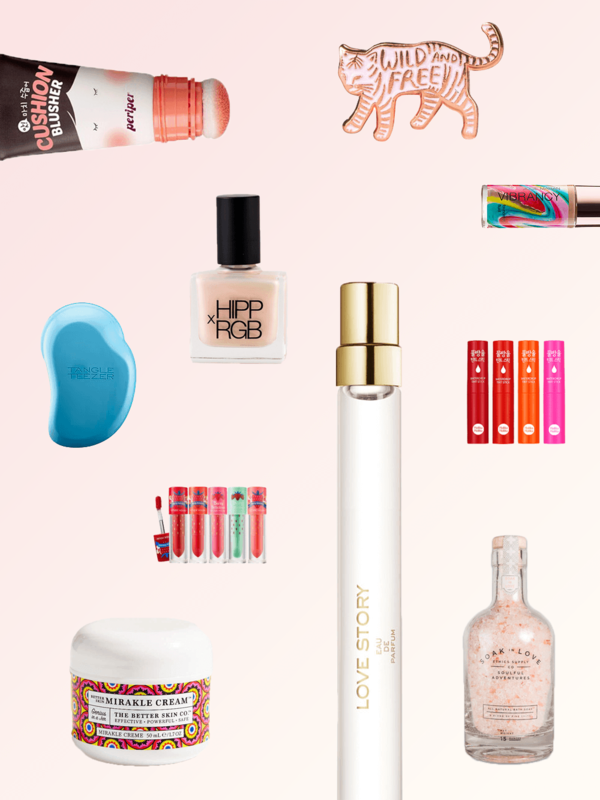 In the latest edition of my horoscope beauty gift guide, we’re talking gifts (and let’s be honest, treat yo’self gifts) for beauties born from May 21st to June 20th. It is said that Geminis – the astrological sign based on twins – have somewhat dual natures. They’re artsy and creative, embrace spontaneity and love to do things on a whim. At the same time, they aren’t afraid to say how they feel and sometimes these strong opinions can get the best of them. Geminis are complex souls and need the right circumstances (where they feel supported and cared for) in order to be their most positive, open selves. Don’t we all? Many current horoscopes state that 2016 is a very empowering year for the Gemini. There is a lot of growth both personally and professionally. Whereas in years before where Geminis may have felt lost or stifled with plans, they now have a clearer focus. With this focus comes an intense drive to embrace opportunity. This is very thrilling for someone who feeds off excitement and enjoys taking the reins. Now, onto the goods. The second half of the year means peace with home and personal life – exactly why this natural Soak in Love soak is such a good fit. A romantic rollerball perfume is to remind them to keep nurturing those personal relationships and good things will come. Another attribute of Geminis – due to their thirst for adventure – is youthfulness. Play it up with glossy berry lips and fun but practical products like a tangle teezer detangling brush, Josie Maran’s “vibrancy” foundation, or a skin cream with playful packaging. For a free spirit that wears her heart on her sleeve, this adorable pin is a thoughtful gesture. The thing to remember about Geminis is that their openness allows them to break from the norm and try new things, so when giving gifts, you want to turn them on to something they might not have seen before, like a cushion blusher or this waterdrop lip tint at Peach & Lily, or even a new concept altogether like RGB’s nail tints (that match up with your skin tone). Geminis, does this recap of your personality measure up? Which is your fave gift on the list?